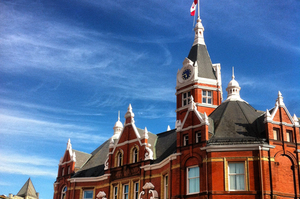 The Regional Municipality of York and its municipal partners have an ambitious plan to develop four new downtowns along the corridors of Highway 7 and Yonge Street. Referred to as the Region's Centres and Corridors, these areas identified as high-density multi-use communities and the location for the Region's growth in office type employment. In order to better understand the market opportunity for commercial office development in the Region's various locations within the Centres and Corridors, as well as identify challenges to attracting commercial office development, Chris project managed an initiative to complete an economic analysis of the Region's commercial office market. This study looked at understanding the costs and benefits of developing in the Region's Centres and Corridors and then comparing these against similar commercial office nodes in the Greater Toronto Area. With this comparison complete, the study then provided a range of policy and program recommendations for facilitating commercial office development in York Region.